With Traveling Vineyard, you can share wine, make friends and make money all at the same time. Traveling Vineyard may be the perfect home business opportunity for you! 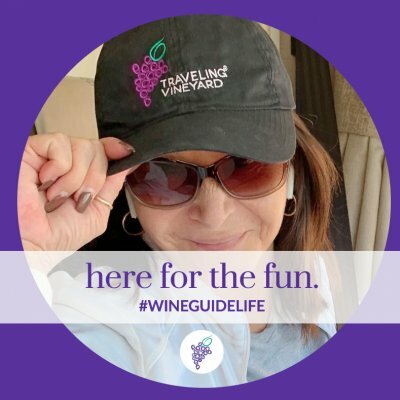 Live the Wine Guide Life! How about hosting an event? I bring 5 FREE bottles of wine, (2red, 2white, 1sweet) you invite your wine LOVING/BUYING friends/family, if you decide to join, you receive a 20% discount on your kit. Qualified parties provide consultants with free tasting sets, and offer the ability to recoup starter kit cost in only two short months. Additional catalog items like cheese boards and serving ware ensure that every nuance of wine enjoyment is covered, both during and after the party for wine-loving shoppers.